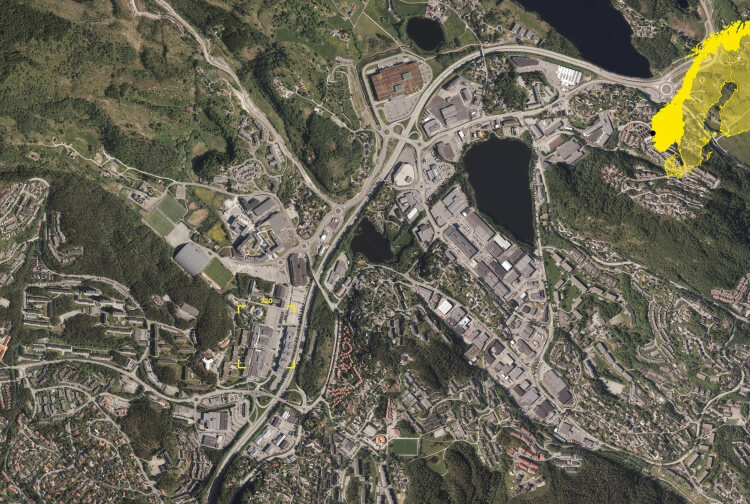 The area of Åsane is today mainly known for its two shopping malls, the highway and the absence of everything that defines a city center. Flexity proposes a flexible and dynamic framework for future growth. To balance today’s mono-functional shopping schedule it is necessary to introduce a program mix of dwellings, public transport, public services, recreation, and cultural activities. A rational grid measuring 16 x 16 meters connects the two malls, forming a series of open and enclosed spaces on ground level. Public transport is directed into the heart of the area, ensuring a steady flow of people.